The Villages Florida day trips and one tank trips described here on Florida Backroads Travel are all within 100 miles of the popular central Florida community. Places to see within 100 miles of The Villages, Florida. 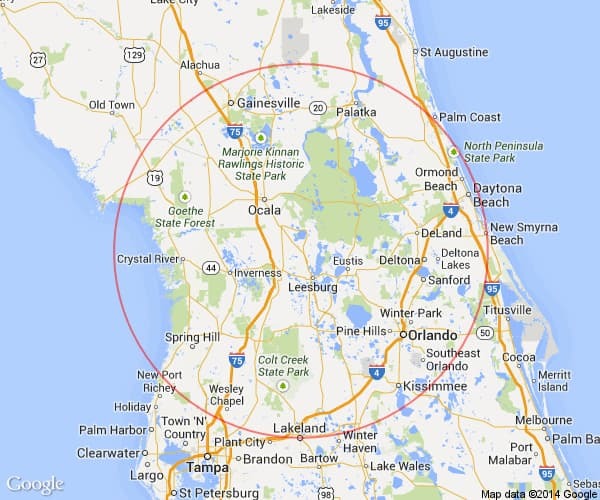 The Villages is located in the central part of the state, not far south of Ocala. These day trips and things to do are all within 100 miles of The Villages. The map below shows you some of the major towns and places within this radius. Albin Polasek Museum and Sculpture Gardens in Winter Park is the home and studio of a prominent American sculptor. Alexander Springs Recreational Area in the Ocala National Forest offers camping, swimming, scuba diving, and more. Appleton Museum of Art in Ocala features 30,000 square feet of gallery space devoted to the museum's permanent collections. Best Beaches in Florida include many that are within an easy drive from The Villages. Blue Spring State Park in Orange City is a tremendous spot to observe manatees from November to March. Boggy Creek Airboat Adventures has a fleet of boats that take you on tours to see wildlife, including birds and alligators. Bok Tower Gardens is on one of the highest hills in Florida and you can hear daily carillon concerts and enjoy the views of tower and gardens. Bronson is a small town northeast of Gainesville that is notable for the gravesite of the great rock and roll icon, Bo Diddley. Busch Gardens in Tampa is an animal themed park with 8 roller coasters, 3 water rides, and many other rides and animal attractions. 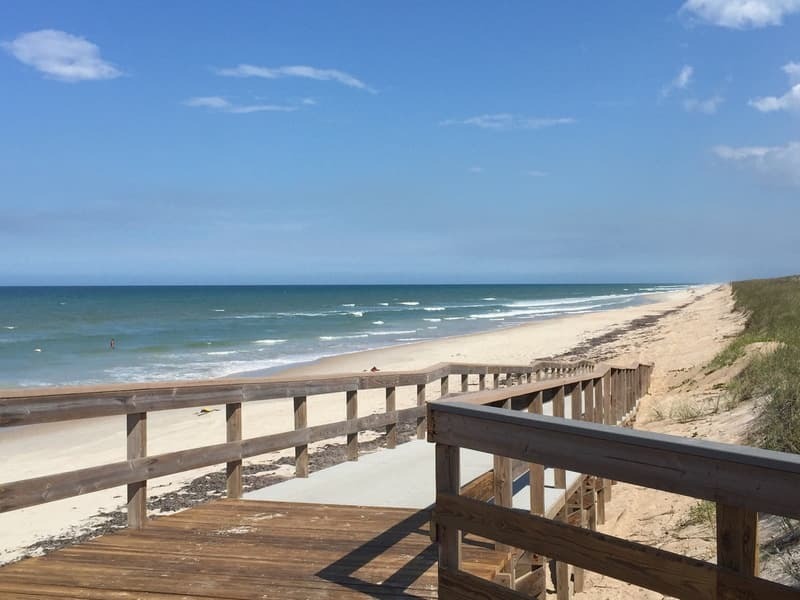 Canaveral National Seashore is accessed from Titusville or New Smyrna Beach. 24 miles of undeveloped beach for your enjoyment. Cassadaga is a spiritualist community near DeLand where you can get your fortune told by one of the resident mediums or spiritualists. Cat Boat Tours in Mount Dora lets you pilot your own twin hulled motor boat on Lake Dora with a guide in a separate boat. Central Florida Railroad Museum in Winter Garden focuses on artifacts and exhibits from the railroads of Central Florida. Citrus Tower is an old Florida attraction in Clermont where you can take an elevator to the top and see where all the citrus groves used to be. Cross Creek is between Gainesville and Ocala and was the home of Marjorie Kinnan Rawlings, author of The Yearling, Cross Creek, South Moon Under and other classics. Her home is now a state park that you can visit. Crystal River attracts manatees in the colder weather. There are numerous business set up to allow people to see the manatees and even swim with them. Dade Battlefield Historic Park in Bushnell commemorates the site of the battle where Seminoles killed all but three of 110 American soldiers. Daytona Beach has hard sand beaches that you can drive your car on, the International Speedway, and many other attractions. 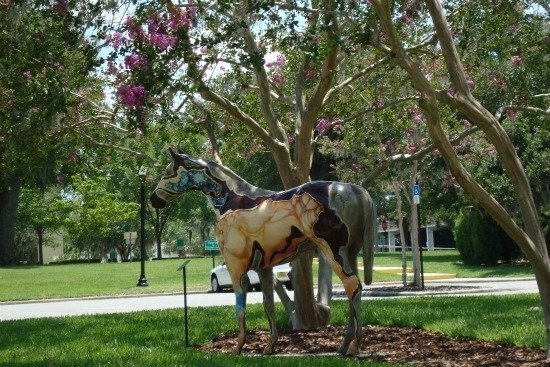 DeLand is the home of Stetson University and has a fine downtown with many murals, good shopping and dining places. Devil's Millhopper Geological State Park in Gainesville takes you to the bottom of a sinkhole that has attracted visitors for more than 100 years. Dinosaur World in Plant City features lifelike replicas of more than 150 dinosaurs. Adults love it and kids really really love it. Disney Springs at Walt Disney World Resort is a giant outdoor shopping, dining, and entertainment complex with free admission. Don Garlits Museum of Drag Racing in Ocala has more than 90 race cars on display along with 50 more antique cars. Dr. Phillips Center for the Performing Arts in Orlando includes theaters, and art plaza, and many other space with changing exhibits. Epcot is one of three theme parks at Walt Disney World. This one celebrates achievements in technology and culture. Eustis is on the lake of the same name and has a nice downtown with parks, shopping and restaurants. Evinston is near Cross Creek south of Gainesville and is home to the old Wood & Swink general store on the National Register of Historic Places. Fantasy of Flight in Polk City displays more than 140 civilian and military plans and many of them can still fly. Farm Tours of Ocala is a tour of more than 3 hours that takes you behind the scenes of thoroughbred horse farms. Flagler Beachfront Winery is in Flagler Beach, north of Daytona. Watch wine being made and enjoy tasting it while soaking up the ocean breeze. Florida Air Museum in Lakeland is the state's official aviation museum and education center. Florida Aquarium in Tampa focuses on teaching visitors about the ecosystems of Florida and the world. Florida Day Trips by Theme is a section on this website that is for people who like to focus on one theme such as art, museums, history, etc. Florida Museum of Natural History in Gainesville has one of the largest collections of natural history items in the United States. Fun Spot America is on International Drive in Orlando and has go kart tracks and roller coasters plus other thrill rides. Gainesville is the home of the University of Florida and its many art galleries, museums, a vibrant downtown area with good shopping and dining. This can be one of the best of The Villages Florida day trips. 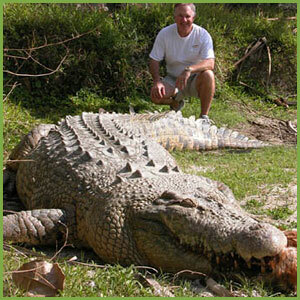 Gatorland is one of the oldest Florida tourist attractions. It is between Orlando and Kissimmee and has some of the neatest alligators in Florida. Ginnie Springs is a park with great opportunities for swimming, camping, canoeing and enjoying nature. Hutchinson Farm Winery is a small family owned vineyard and winery south of Apopka. Nice selection of red, white and blended wines. Tastings, tours. High Springs is a typical little Florida town with a fixed up downtown that has several neat antique shops and at least one very good restaurant. Ichetucknee Inner Tube Trips near Fort White has been a Florida tradition for years, a float down a clear cool river on tubes. Kennedy Space Center Visitors Complex has hundreds of exhibits and displays including Space Shuttles and more. Lakeland has a beautiful downtown and Florida Southern College has the largest collection of Frank Lloyd Wright designed buildings in the world. Lakeridge Winery near Clermont is one of Florida's largest wineries. You will enjoy watching the wine making process and sampling their wares. Legoland Florida Resort in Winter Haven is where kids can assemble Lego toys and enjoy more than 50 rides, shows, and more. Leu Gardens in Orlando is one of the country's foremost botanical gardens. If it grows in Florida, it is probably here. Self guided tours or formal tours. 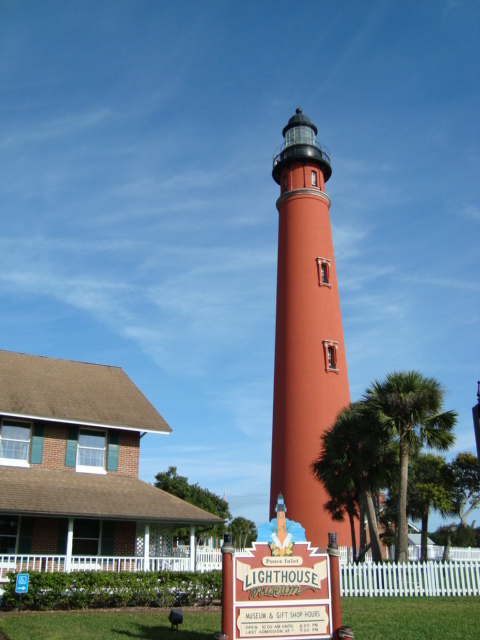 Lighthouses, Florida has many that can be visited by car and you can even climb some of them. They have no elevators. Marineland is on Highway A1A just south of St. Augustine. 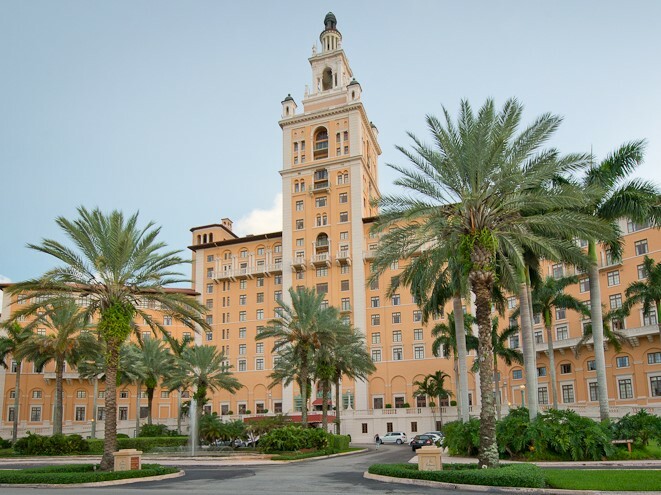 Founded in 1938, it was once the most popular tourist attraction in Florida. Menello Museum of American Art in Orlando features the permanent collection of a well known American folk artist, Earl Cunningham. Merritt Island National Wildlife Refuge is next to Kennedy Space Center and has 140,000 acres teeming with plants, fish, and wildlife. Micanopy is a small Old Florida place with some nice antique shops and restaurants. McIntosh is near Micanopy and is a fine example of Old Florida homes. It's just fun to wander around the quiet streets. Mill Creek Farm is a retirement home for horses. Admission is a couple of carrots. Morse Museum in Winter Park has the world's largest collection of the works of Louis Comfort Tiffany, including jewelry, art glass, and more. Mount Dora has a New England look. 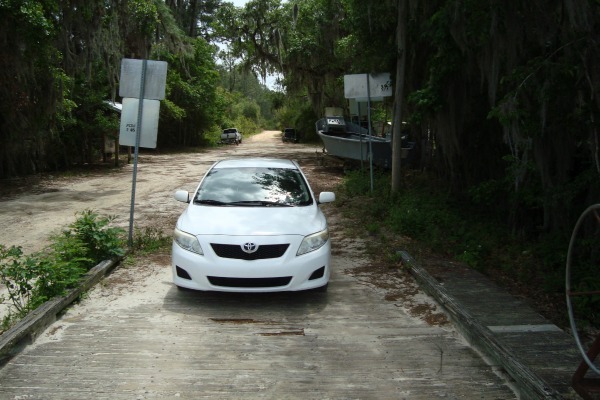 It is on the east end of Lake Dora and has many fine shopping, dining and lodging opportunities. Only 45 minutes from Orlando. It is one of the favorites of the Villages Florida day trips. 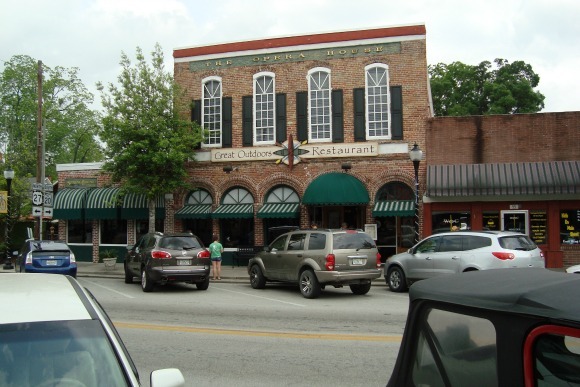 Here is a list of restaurants in the Mount Dora area. New Smyrna Beach has some of the nicest sandy beaches in Florida and a bit of history that influenced St. Augustine. Ocala is in the heart of Florida's thoroughbred horse raising and training country with plenty of rolling hills and lush oak forests. Orlando is where the big tourist attractions are like Walt Disney World, Universal Studios and SeaWorld, but it also has plenty of other quieter places to visit. Orlando Tree Tour is a self guided tour of some of the oldest and largest trees in Florida. You will see many magnificent oaks. 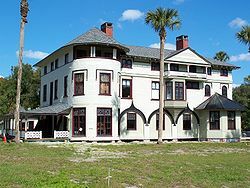 Princess Place Preserve is an old hunting lodge near Palm Coast. It is open to the public and is a nice glimpse into the Old Florida of yesteryear. Free. Rainbow Springs State Park in Dunnellon rent canoes and kayaks, and has great views of waterfalls and gardens. River Safaris in Homosassa has airboat tours, rental boats, manatee tours, scalloping, fishing adventures, and more. Scalloping in the Gulf of Mexico during season, usually July through September, is a lot of fun and you don't even need a boat. Sea Turtles on Florida Beaches during nesting season from May to October can be legally observed and enjoyed by all. SeaWorld in Orlando is three different parks in one. See dolphins, whales, manatees, sea lions, and others. Silver Springs State Park near Ocala is where you can enjoy riding on glass bottomed boats and being amazed at the clear water. St. Augustine is the oldest continuously inhabited city in the United States. Much to do and even more to see. St. Augustine Alligator Farm has more than just the famous reptile it is named for. Crocodiles, birds and a host of other animals. It's on the National Register of Historic Places. St. Johns Rivership Company in Sanford takes you on a narrated day cruise on the St. Johns River. Tangled Oaks Vineyard is a family owned winery between Palatka and Gainesville on State Road 100. Tours and tastings, nice wines. Tavares is known as the seaplane city. People fly in for events and weekends; it is on the west end of Lake Dora not far from Mount Dora and Eustis. Universal Orlando Resort is the second largest theme park in Orlando and is two parks in one: Universal Studios and Islands of Adventure. University of Tampa was formerly the Tampa Bay Hotel and includes original furnishings and other artifacts. Walt Disney World Resort is famous and is the largest theme park in the world. Lots to do and see here. Webster Flea Markets are the biggest in Florida, but only open on Mondays in this village 25 miles south of The Villages. Weeki Wachee Springs is one of the oldest Florida tourist attractions; you will enjoy the shows with the beautiful young mermaids performing in the clear spring waters. Wekiwa Springs State Park in Apopka is one of the most popular recreation spots in the Orlando area. Whispering Oaks Winery offers tours and entertainment; they specialize in blueberry wine and are only a few miles west of The Villages. Winter Park is just north of Orlando. In addition to a wonderful boat tour of the chain of lakes, it has some of the finest shopping and dining in the state. Winter Park Scenic Boat Tour has been entertaining visitors for years on guided tours along the lakes and canals of this scenic area. Zoo Tampa at Lowry Park has 56 acres of animal exhibits in a tropical setting and has many up-close animal encounters you will enjoy.